Everyone needs at least one pair of pants so comfortable you’d never want to take them off. If you don’t have one yet, then I suggest you join this giveaway. Lazypants is a homegrown Canadian brand out of Toronto created by Adam Bledin. It carries hoodies, lounge pants and snapbacks but is most famous for its pants. These colorful lounge pants are made of Turkish cotton that make them so durable, comfortable and luxurious, it’ll be hard to get out of them! Many celebrities like Cody Simpson, Connor Maynard, Ivanka Trump and Down With Webster have been spotted wearing them already. They are currently carried at Kitson across California and at dozens of different locations including Sporting Life, Holt Renfrew, TNT and Hill’s at Canada. Now don’t think these pants are only perfect for the couch. Yes they may be so comfortable you can’t help but cuddle in them, but these are also highly suitable for working out. In fact, I’ve seen quite a lot of people wearing them to the gym or dance classes. You can even wear them out and style them up! Take advantage of the sportswear trend, why don’t you? Like Lazypants on Facebook and follow @thatslazy on Twitter. Leave a comment below with your full name and Twitter name. This contest is open to readers from Canada, Australia, UK, Japan, Korea and US only. Deadline for entries is on August 5, 2013 at 11:59PM. I will be choosing the winner via Random.org and announcing it here at the comments section below. Please be reminded to submit one entry only. No multiply entries please. Wow, I’m so excited to start wearing them! I’ve sent the screen caps. Thank you so much! Hey, I just posted and date and time say 2 am on the 6th of Aug, it is 2pm here on the 5th of August, what time zone is this contest running by. These look so comfy! Thanks for giveaway! These pants look amazing! I’m already in love! 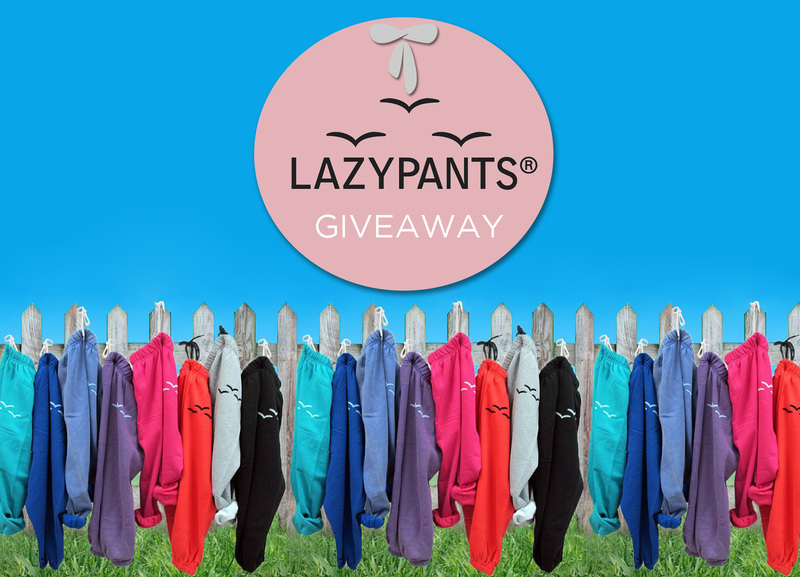 I would love to win a pair of Lazypants! Thank you so much for offering such a fun and generous giveaway. my twitter name is Claudwalda! this is cool! I want to have this giveaway! My girlfriend will be very happy for sure! Thanks for hosting the giveaway Camille! They look so comfy, i will be even more lazy once i start wearing this.